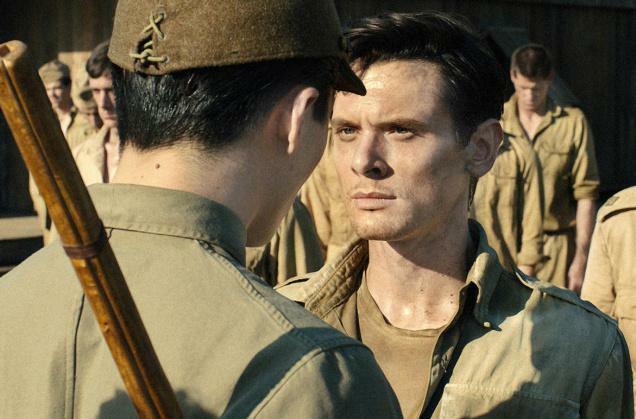 UNBROKEN is a decent movie, a pretty-good one that tried to be great. 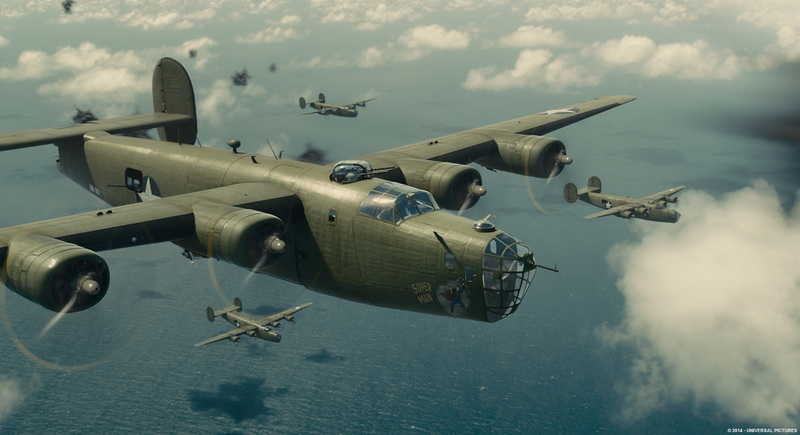 It certainly had the makings, given the amazing story elements of Louis Zamperini’s cat-with-9-lives (make that a hundred) survival, told brilliantly in the bestseller by Laura Hillenbrand. 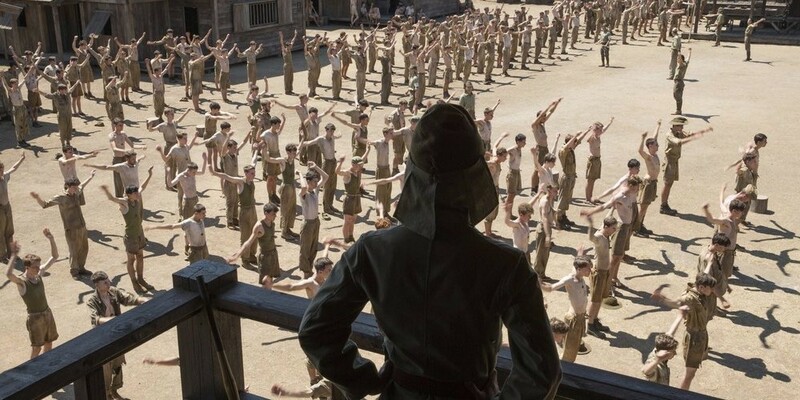 Director Angelina Jolie made it a labor of love but I think she miscalculated in that Zamperini’s life covered so much ground that a mini-series, say eight hours worth, would have been a better vehicle than a theatrical release in a truncated 137 minutes. Film does an acceptable job of visiting the first segments of the Olympic runner/War Hero’s life, undisciplined child morphing into incredible athlete, then skirts quickly over his first military experiences. For the remainder of the script (written by the Coen brothers) it then concentrates on his brutal years of captivity as a POW of the Japanese. Joile and the Coen’s leave out the last seven decades of his life, brushed over with a few fade-out paragraphs (he died, at 97, a few months before the movie came out in 2014) . I liked the film, (which received muted applause from the tiresome Angie-bashing contingent) but it could be subtitled Unfulfilled or Unfinished, given the vast amount of experiences he underwent. With Miyavi (as the psychopathic ‘Bird’, who got away with it), Domhnall Gleeson, Garrett Hedlund. The film drew $161,000,000 worldwide, was nominated for three Oscars–Cinematography, Sound Editing, Sound Mixing. * If audiences couldn’t handle more than brush at the brutish truth, it’s rank despicable that the Japanese government (and most of its population, apparently) can’t either, since they have never shown a sake-thimble of integrity to own up to their WW2 atrocities, vast and savage enough to make the Nazis look like amateurs. Put it this way, if you were an Allied soldier captured by Hitler, your chances of dying in captivity were one in 28. If you fell into the arms of the Japanese, it was one in four. If you happened to be Chinese, your odds of living through their captivity were one in 100. Lest the Empire’s racist/militarist horror story be softened by nervous knee-jerk jerks into some kind of apologia bemoaning Japan-bashing, we suggest reading the book, then go wrack your guilt in another direction. If Japan’s dodge of honor isn’t bad enough: after 1958, all those imprisoned or accused of war crimes in the Pacific were pardoned in full. Japan pulled this vile skate with complete imprimatur from good old Uncle Sam. Seems our anti-Red military-industrial complex needed Mitsubishi help against the Godless Commies. What are ruined lives, and a trifle like ‘justice’ next to political expediency? Forget Tokyo–our own governments, Republican and Democrat alike, from Truman through to Obama, have done everything they can to prevent internees like Zamperini from ever receiving compensation or even acknowledgement from those who treated them so fiendishly. Makes you want to wave the flag? I’ll still unfurl the banner from time to time, not for D.C.s deplorable hucksters, but for guys like Louis Zamperini.